Lockout/tagout does not normally apply to hand-held power tools or stationary equipment whose electrical power may be controlled by the unplugging of equipment from the energy source when the plug and cord are under the control of the employee performing the servicing or maintenance. Once the system has been prepared for work, and the locks have been applied, the system must be verified. If it is a motor that is being worked on, for example, the area should be cleared in case the isolation procedures fails, and then an attempt should be made to run the motor. 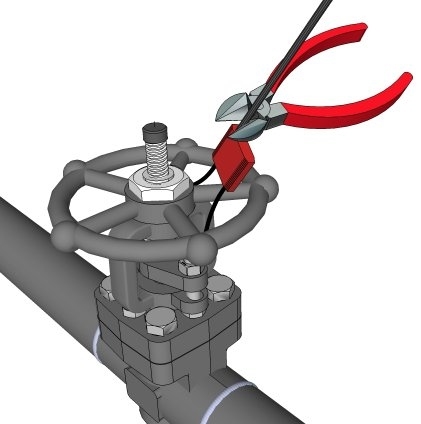 If it is a valve that is being locked closed, the safety lead should try to open it after the locks and chains have been applied. Some companies use the phrase lock, tag and verify to describe this process. A car seal - also referred to as a security seal - helps prevent someone from inadvertently moving a tagged valve or switch (they are so called because they were first used to seal railcars after they were loaded.) However, because the car seal has very little physical strength (they are sometimes made of plastic), it is very easy to break one if someone decides that it is in the way. Car seals do not provide sufficient security when hazardous chemicals are being used. They are more commonly used in operations such as blending, where an error can cause product quality problems, but not a safety concern. 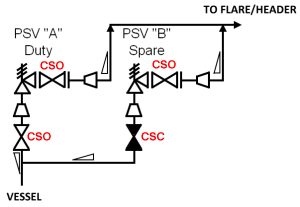 They are also used to ensure that block valves around safety relief valves are in their specified open or closed positions as shown in the sketch, provided by the Total Lockout company. The traditional form of car seal has been a wire loop with a tag attached to it - rather like a stronger version of a luggage tag. Each seal should have its own unique serial number. Car seals are often provided in different colors where each color is assigned to a particular application, as shown in the diagram. The sketch below shows the operation of a wire car seal. The car seal is attached as follows. Pass the cable around the valve wheel and body. Thread the cable back in to the seal body. When more than one person is working on a job a group lockout / tagout procedure is needed ? one in which each person involved can apply their own lock, and only they can remove it (sometimes known as a Masterlock system). Details vary from company to company, but the following process is representative. The lead person on the job locks closed each valve, switch and other device that is used to isolate the high energy source. Only the lead has a key to these locks. He or she labels the locks with the appropriate work permit information, and then attaches a lock box to each location. Every worker who is to work on that job attaches his or her lock to the lock box. They record what they have done on the work permit. If a worker leaves the job, he or she removes their lock and signs off on the work permit. If there is a shift change, workers on the first crew must sign off the job and remove their locks, and workers on the second crew must sign on to the job and add their locks. At the end of the job, each worker removes his or her locks and signs off. Each person must satisfy themselves that the job has, from their point of view, been returned to a safe condition before they remove their personal lock. The lead then removes the master lock and takes the keys from the open box. He then closes the work permit, and unlocks the valves or switches, which now safe to operate. An authorized employee will perform the isolation of the work area and involved equipment and complete the Lockout Permit. All keys involved in the lockout of equipment will then be placed in the lockbox. The authorized individual will install an individually keyed lock on the lockbox. His or her lock should be the first lock on the lockbox once the isolation keys are in the lockbox, and the last lock off of the lockbox when work has been completed. This will insure that the authorized person will be able to insure proper startup/re-energization of equipment. A tag with the name of the person, and the date of the lockout will be affixed to the lockbox. Each person applying a lock to the lockbox must sign and date the lockbox tag. Personnel entering the site to perform work on the isolated equipment must apply their lock to the box and sign and date the lockbox tag. As individuals complete their assigned tasks they may remove their locks from the lockbox. When work is complete and equipment is ready to be returned to service, the authorized individual removes his or her lock from the box so that the restoration to service process may be performed. 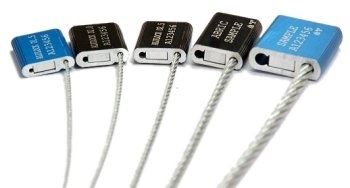 Keyed padlocks should be used for locking out equipment and electrical devices. Each padlock should be keyed differently. Supervisors should retain spare keys for each padlock assigned to their work area. Depending on the facility (size and number of personnel), padlocks may be individually assigned or placed on a lock board for common use. A log should be maintained; it identifies who is using each padlock and where the padlock is being used. 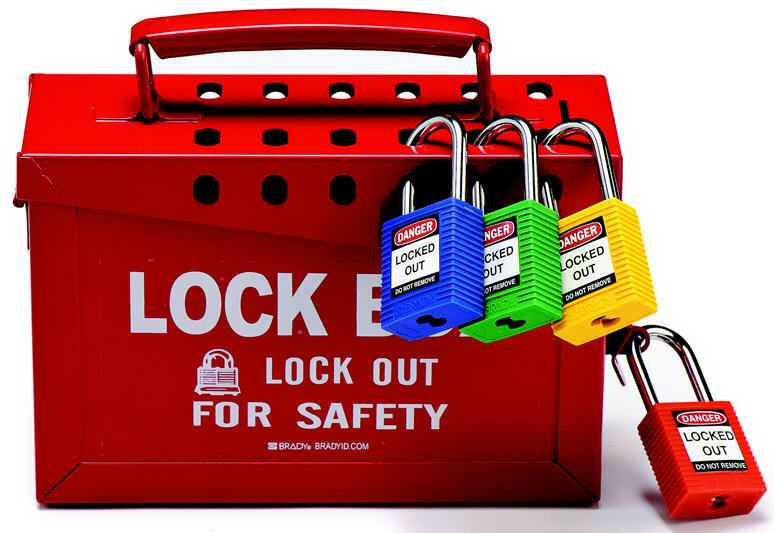 Padlocks used for Lockout and Tagout should not be used for other purposes. Further information to do with lockout/tagout is provided in the ebook Energy Control.